When there’s a slight chill in the air and leaves begin to fall, this is a reminder to home owners that winter is just around the corner. Fall is the best time to create a checklist for exterior home maintenance. Creating a checklist shouldn’t be hurried or important details might be skipped. For a little help getting started, begin with the top “must do” tasks.These will get the most important fall home maintenance tasks out of the way, and you’ll likely spot a few other areas that need work as you go along. In order to evaluate the amount of preparation for winter needed, the first task for homeowners is a comprehensive assessment of the condition of the home and structure. The simplest way to do this is to create an inspection checklist that covers the condition of foundation, exterior siding, gutters and downspouts, wood fascia, doors and windows, chimneys and exhaust outlets. In older homes, note whether tasks require repair or replacement. Energy costs can be prohibitive during severely cold winters. To prevent loss of home heating, it’s necessary to check for exterior gaps around door and window frames. These often occur due to normal weathering. However, left unnoticed, they can increase the cost of energy. When gutters become clogged with debris like fallen leaves or bits of dust, wet fall weather may cause the gutters to collect water. When this happens, elevated levels of water in gutters tend to seep under the eaves of the roof and cause interior damage. Even with today’s new gutter caps, a certain amount of trace dust can build up, depending on the severity of wind and ice. Another way that energy may be lost is when the sealant around chimneys and exhaust outlets becomes worn, reducing the integrity of roofing materials. Special sealants can be applied to restore around the base of a chimney or exhaust outlet. After cleaning gutters, downspouts attached to gutters should also be inspected for a collection of debris. Very often, downspouts collect debris that doesn’t always pass to the bottom outlet. Use a pressure washer to push out any collected debris in downspouts. Though it may go unnoticed in the heat and humidity of summer, exterior siding does show signs of residue buildup. This is especially true if there are foundation plants and shrubs or large trees in proximity to the house. Green residue builds up and makes the exterior siding appear unsightly. Pressure wash exterior siding to keep it looking fresh and vibrant. For homes with cedar, wood or fiberboard siding, the task at hand is to check the condition of painted surfaces for chips and peeling. A new coat of paint may be needed or a sealant should be applied where applicable. 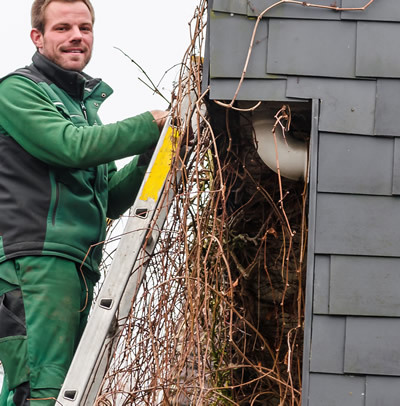 One of the most overlooked tasks for fall is to inspect the wood fascia to which gutters are attached. Weather often plays havoc with this wood and the weight of gutters attached make the load on the wood doubly comprised. Wood fascia may show signs of fissure cracks or rot above or below the gutter line. Before the situation worsens, replace the wood fascia to avoid gutters detaching under the weight of heavy ice and snow. To properly maintain the exterior of a home during the fall season, it’s important to inspect the foundation of the home up to the level where siding ends and foundation begins. Soil, especially in certain types of sandy soil, tends to shift slightly with each year. Foundation cracks may begin as tiny spider-like veins. As soil continues to shift, however, those tiny cracks can open wider and become a major problem. Check every fall for these and use a special cement sealant, applied with a single blade trowel. After a thorough inspection and maintenance of the exterior of the home is completed, there’s just another task that shouldn’t be overlooked: the outdoor deck. Start by inspecting around the base of the deck. Look for unusually worn wood or other signs of deterioration. Sand smooth any rough spots on the deck and deck stairs. Apply a weatherproof sealant for added protection. 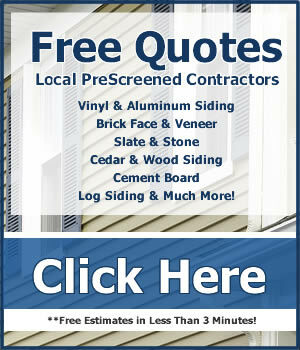 If siding doesn’t require painting or pressure washing, check for areas that appear to have loose shingles or shakes. Should a serious late autumn or early wind storm occur, loose siding can detach and be damaged. With just a little pre-planning and a few minor repairs and replacements, homeowners can feel cozy and warm throughout the long, cold days of winter.